Pack some inspiring words in your little ones’ lunches (and write a personal message, too!) 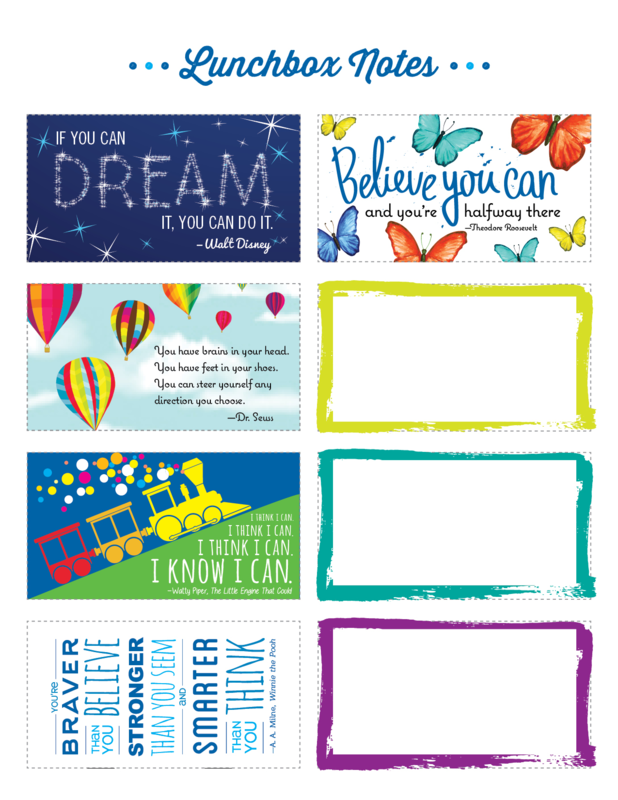 with these printable lunchbox quotes and templates! Click the image below to download a the free PDF. Not sure what to pack along with their note? We’ve got some school lunch ideas here! Six Non-Sandwich School Lunch Ideas for Your Kids!